We offer 30 or 60 minute 1 to 1 singing lesson slots for everyone, from beginner to advanced and all age groups. 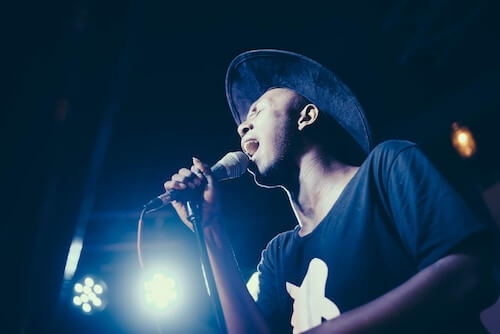 We cover a broad range of styles, whether you want to learn chart hits, show tunes, jazz standards or simply want to expand your repertoire for Karaoke, our lessons can help you progress quickly whilst always having fun. Our teachers have a wealth of experience, knowledge and a passion to show you how to achieve your personal musical goals fast. The voice is our most natural instrument and it brings immense joy to those who sing and a world that loves to listen. In your lessons you will learn many techniques and concepts to enable you to unleash the full potential of your voice. You will learn to sing correctly, so you don’t damage your voice, breathing and control techniques, warm up exercises, scales and arpeggios and much more. Ultimately, your lessons will be structured to help you achieve your particular musical goals. For those of you who want to gain qualifications, we offer accredited grades. UCAS points can be acquired in grades 6 to 8 and this has helped many of our students gain access to their chosen university. In addition to our 1 to 1 lessons, we offer ‘City School of Rock’ classes. Here you will get a chance to try out your vocal skills with a band made up of other students from City Music School, ‘preparing you for the word wide stage! Our mission is to help you reach your full potential and become the Singer you want to be.